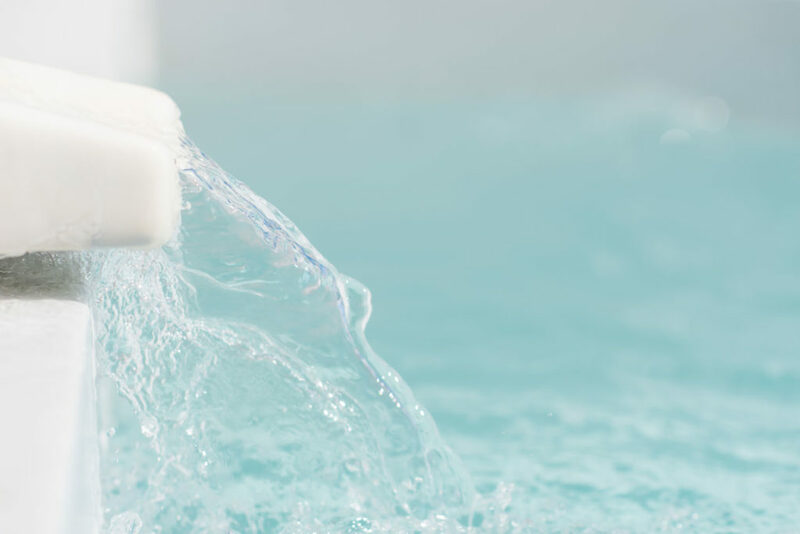 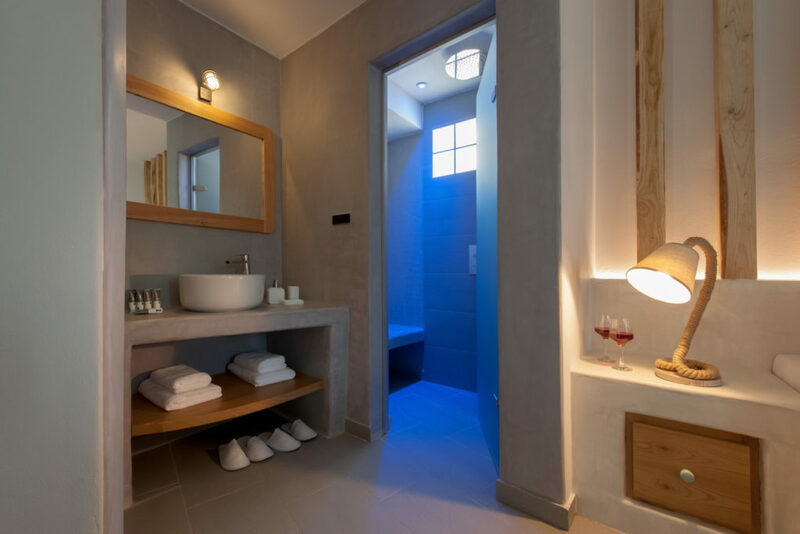 Neptune Luxury Spa Suites are something new to the island, all suites feature a private hammam, a hydromassage with aromatherapy in each bathroom, plus an outdoor heated private pool. 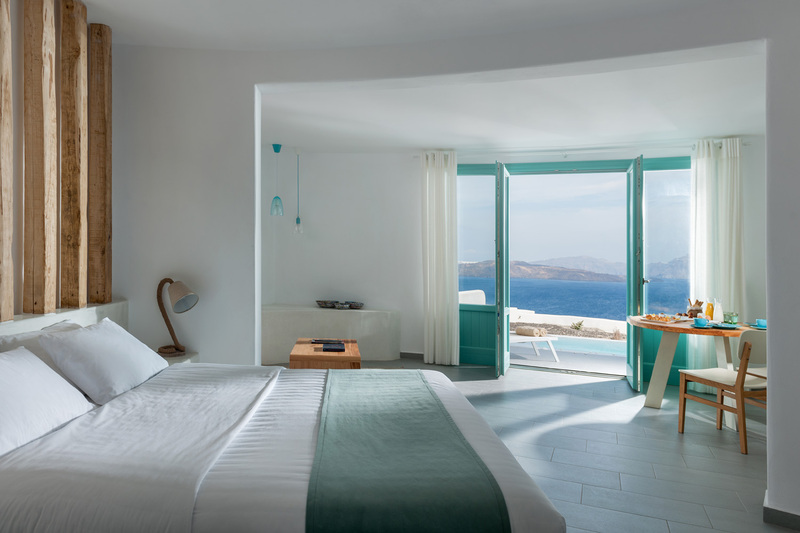 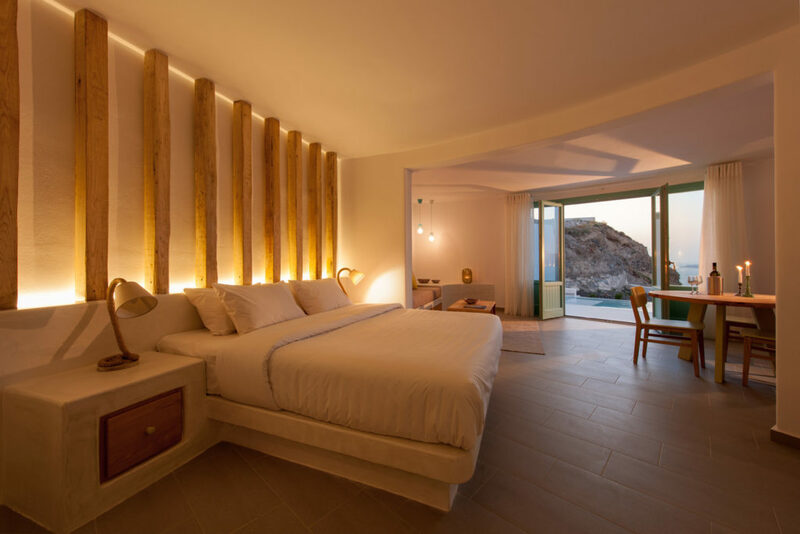 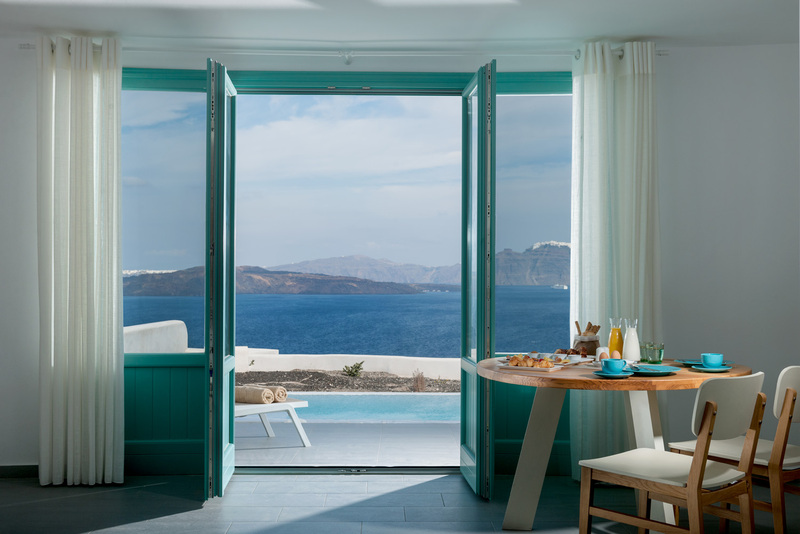 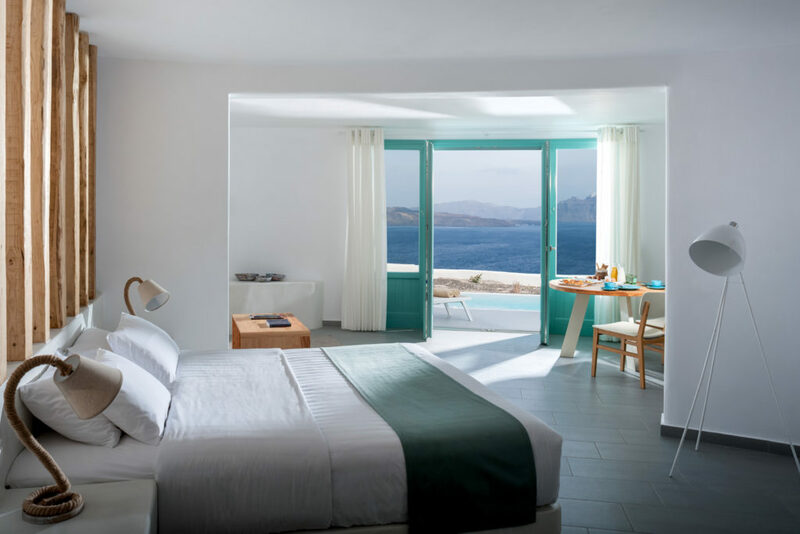 The suites are furnished to an extremely high standard in modern yet classic Cycladic style. 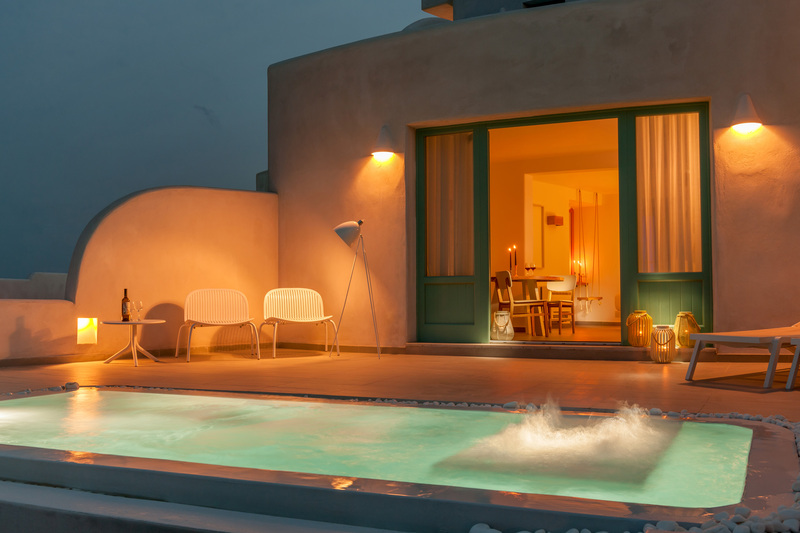 Each offers a double bed and complete en-suite bathroom, living room and terrace with sun loungers. 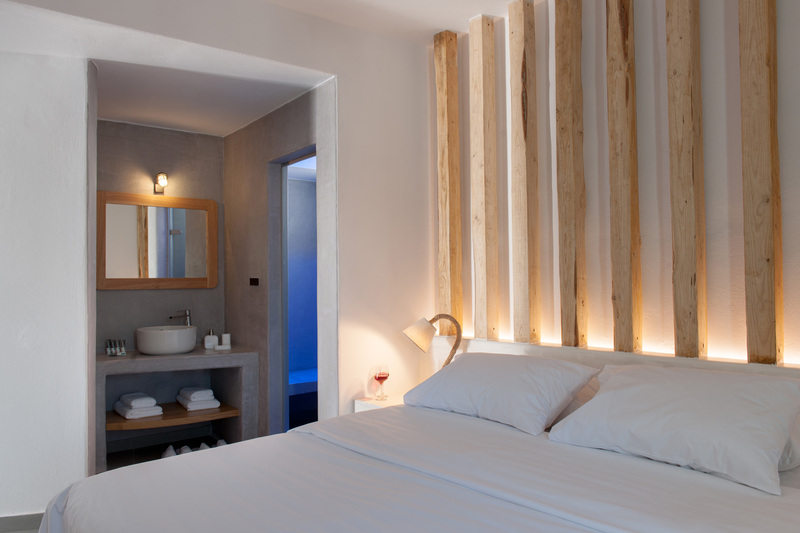 The suites can accommodate 1 – 3 guests. 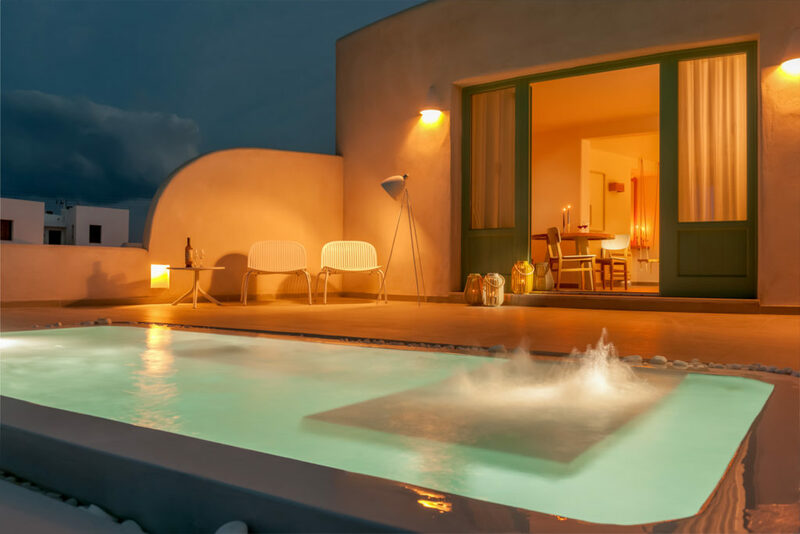 Spacious bedroom, living room, bathroom with shower, hammam, hydro massage and aromatherapy, king size bed and a private veranda with sunbeds, plunge pool with Caldera views. Spacious bedroom with kingsize bed, large living room, bathroom with shower, hammam, hydro massage and aromatherapy, private veranda with sunbeds, Private heated pool with Caldera views. 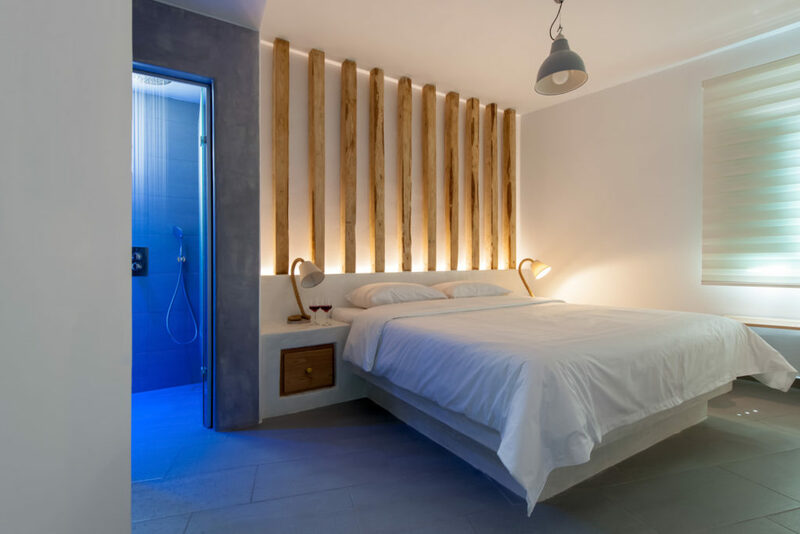 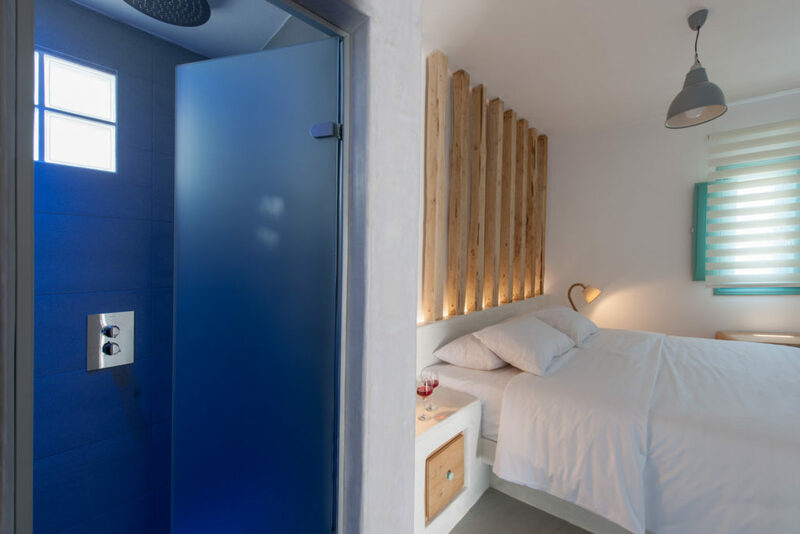 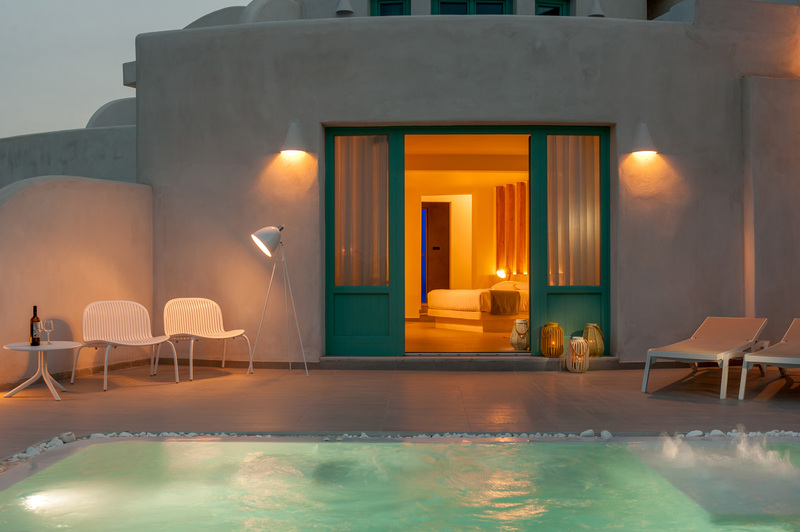 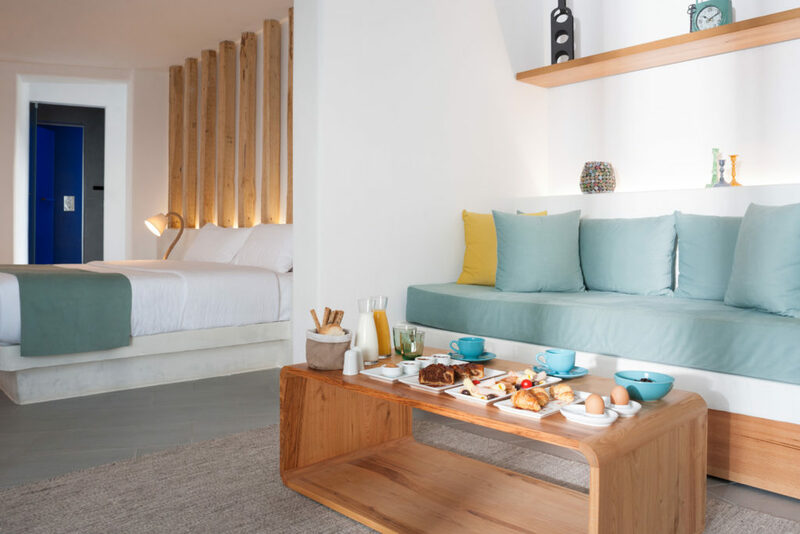 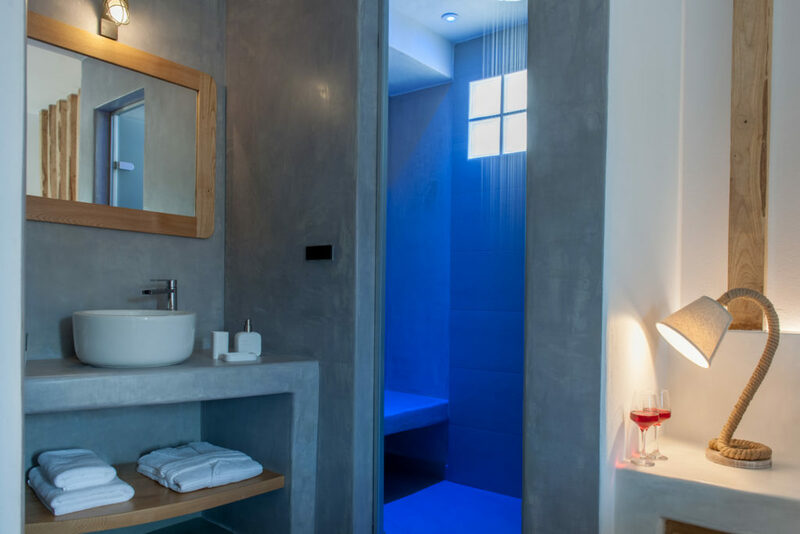 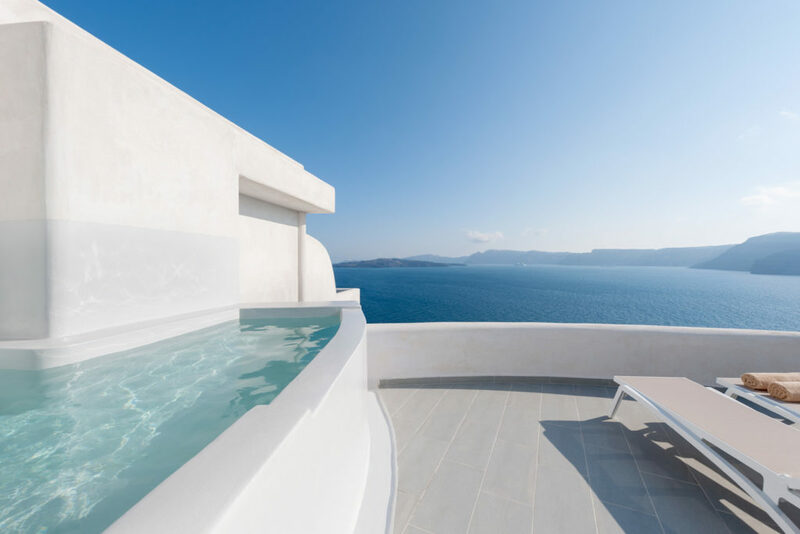 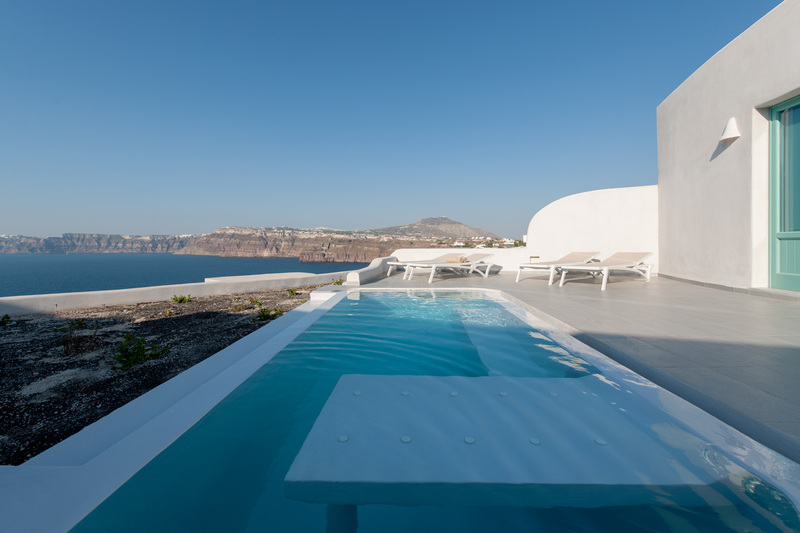 Neptune Luxury Spa Suites location: Away from the hustle and bustle, located in the peaceful area of Akrotiri which is located to the south of the Caldera offering may be the best views on the island. 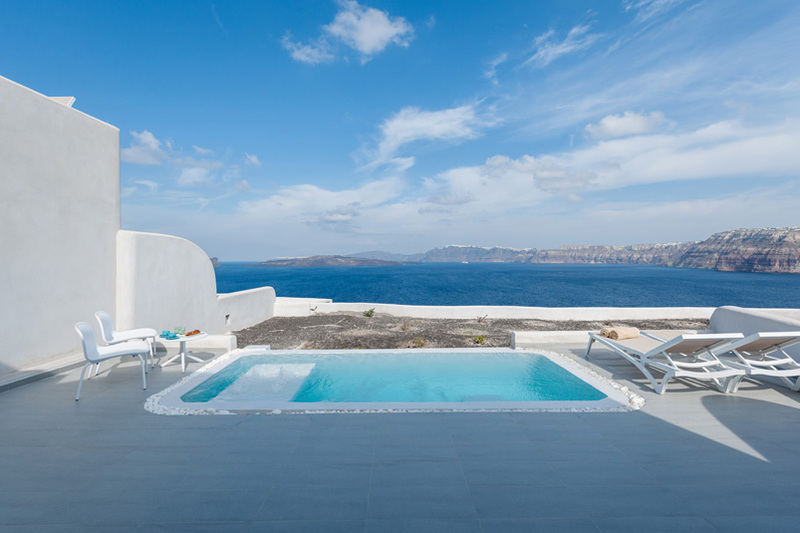 In the area are many traditional style tavernas, a number of black sand beaches and the ancient site of Akrotiri is just 10 minutes from the property. 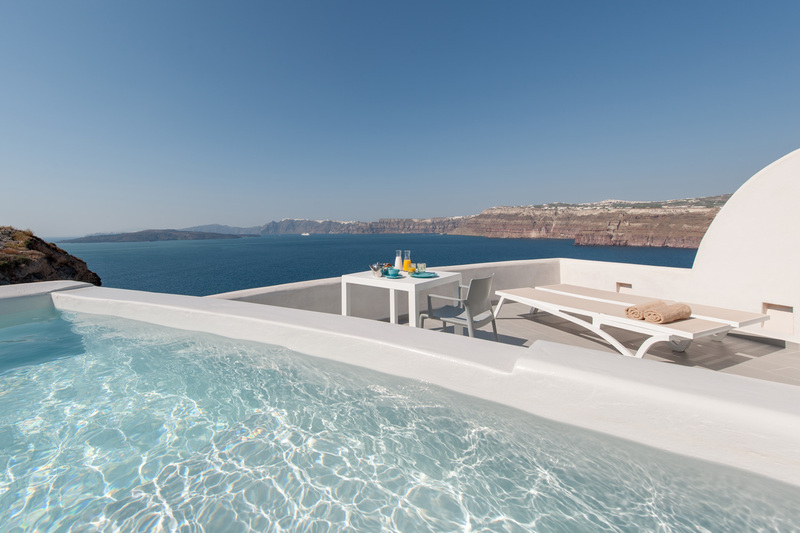 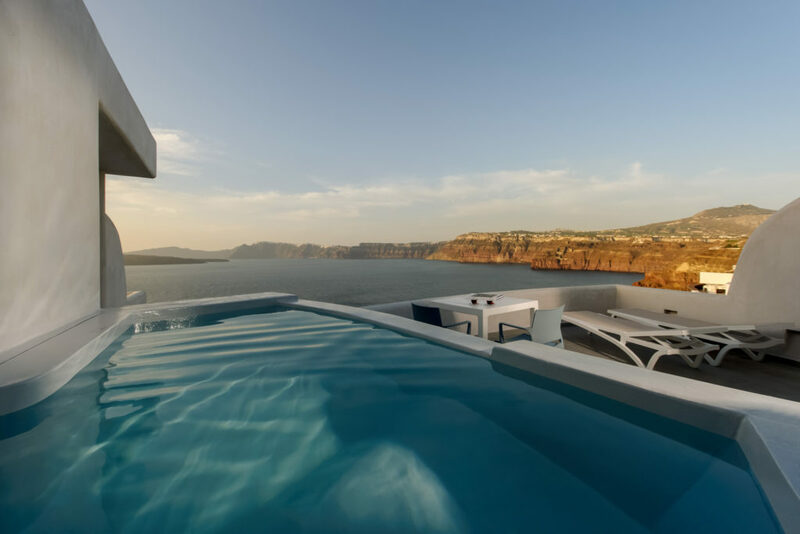 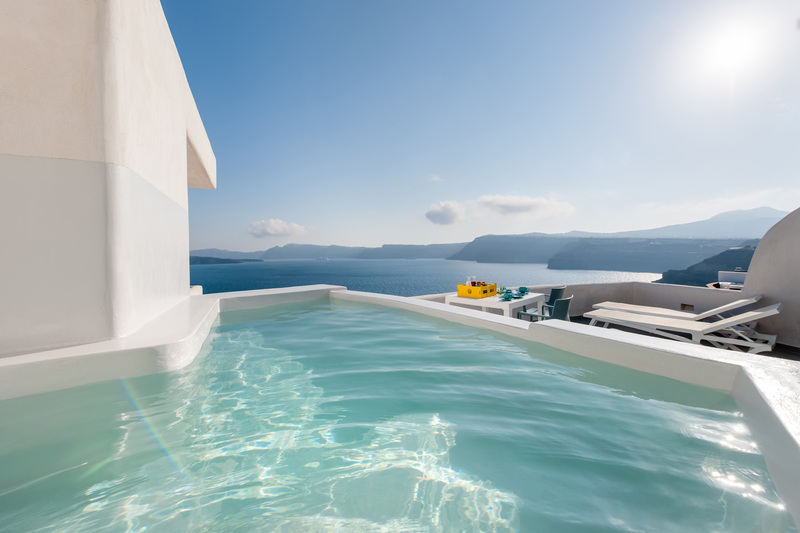 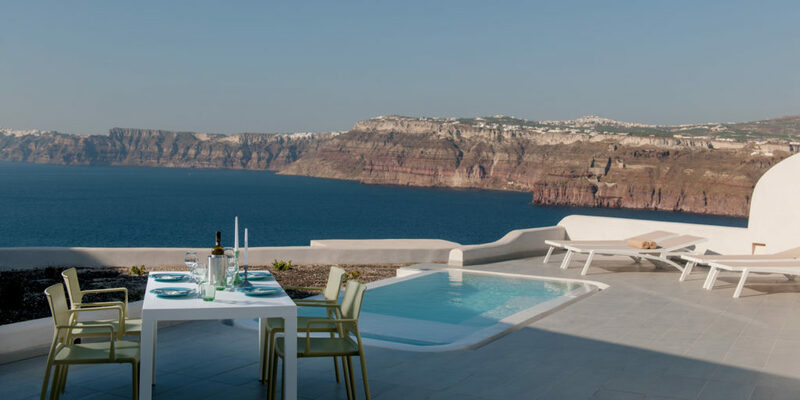 Weddings Santorini: The property has a total of 8 luxury suites and would make an ideal choice for a wedding group or large group of friends wanting to holiday together. 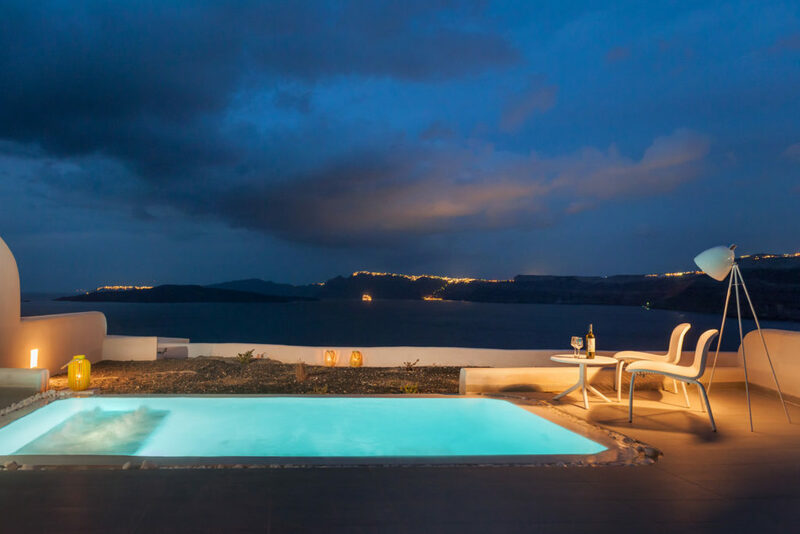 With wonderful views and peaceful location, this is an option for that special occasion. 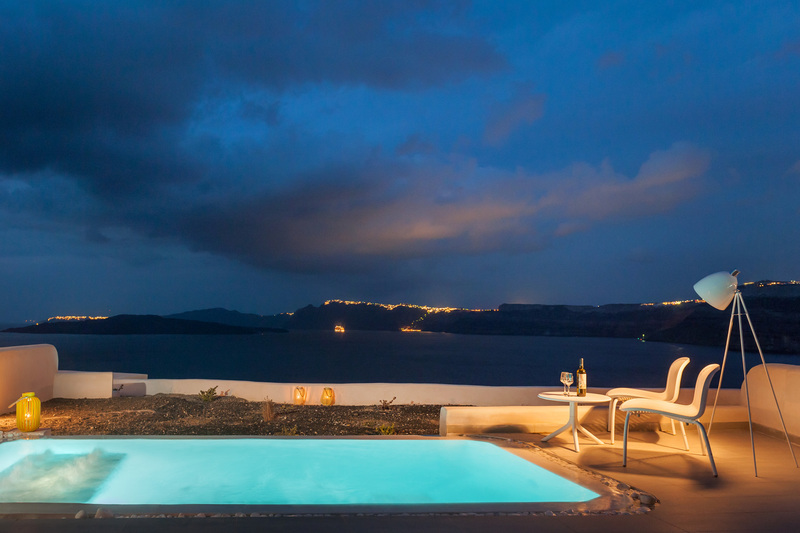 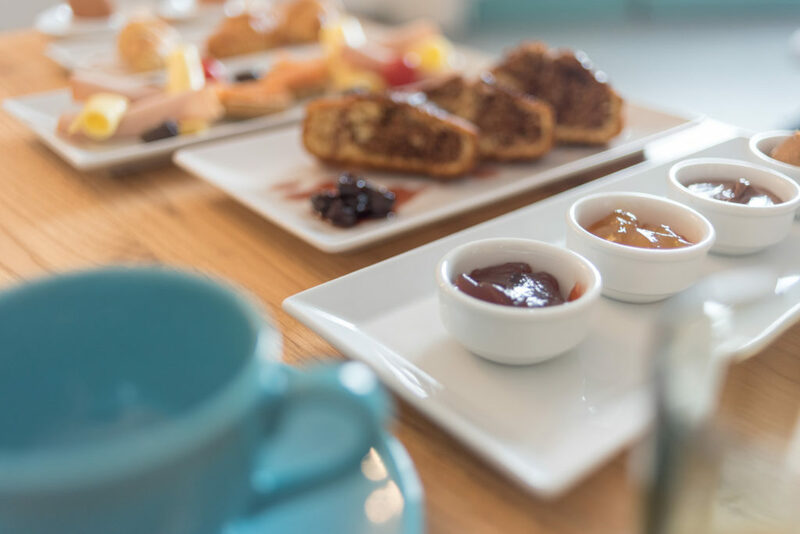 Neptune luxury Suites are a perfect choice if your looking for a romantic location with first quality accommodation, the suites can be booked individually but the property can be booked as a whole for up to 24 people in total. 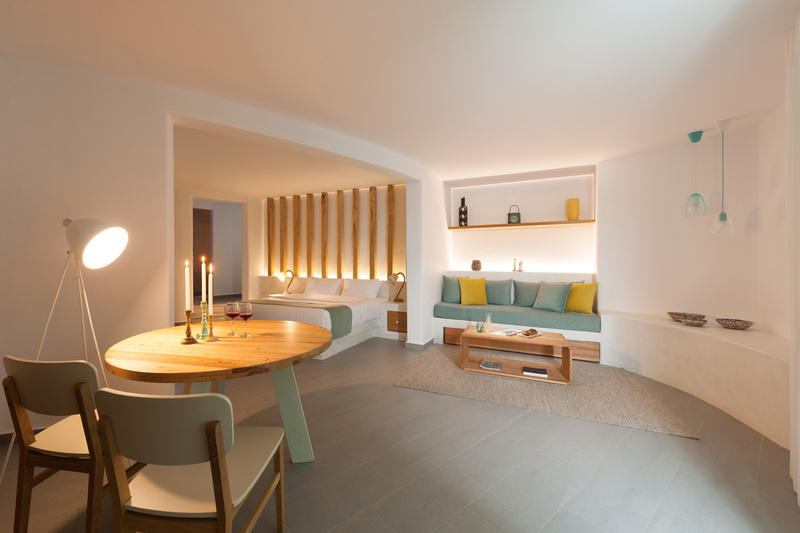 The complex has 8 suites in total.